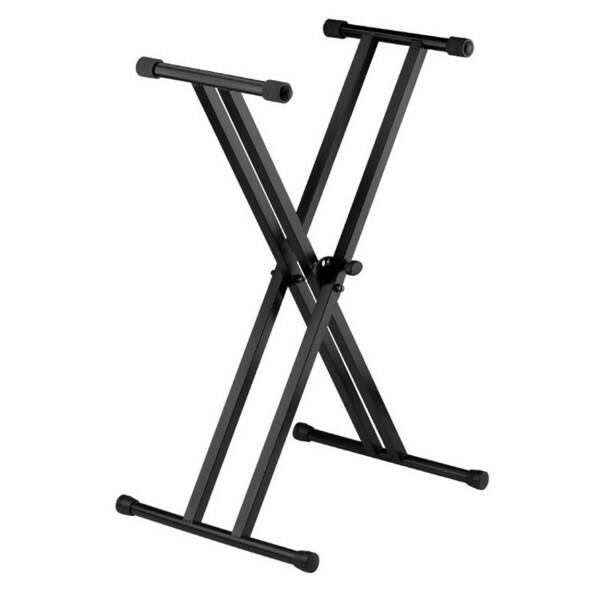 Heavy duty keyboard/piano stand with sturdy spring loaded locking mechanism. Adjustable height. Accomodates both sit down and stand up playing positions plus in between positions. Weight: 4.2 Kg / 9,25 lb.